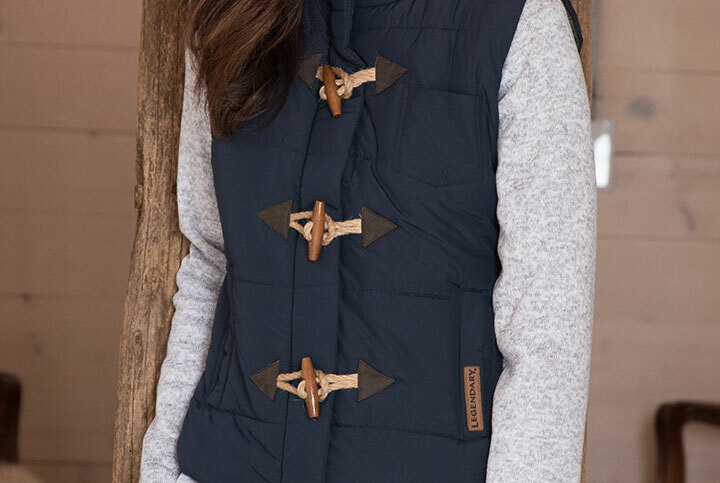 Women's Quilted Vest is rated 4.7 out of 5 by 923. Everyone needs a go-to vest. 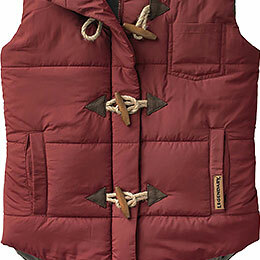 We've gone to great lengths to provide you with a stylish and affordable vest that compliments your outdoor lifestyle. 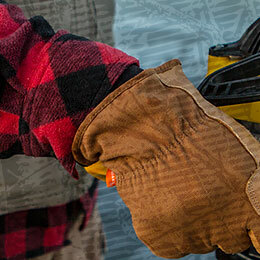 Plus, they're a perfect match for our Cottage Escape Flannel Shirts! Snaps or buttons would have been alright...but we think you'll agree, the wood toggles and rope loops are just right for this vest. This is Legendary style at its best. Just enough to take the chill out! 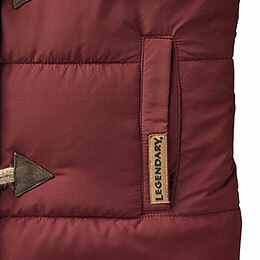 Soft poly shell with quilted insulation for surprising warmth. 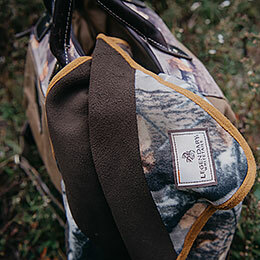 Features a soft, Legendary® accented collar and pocket lining, large hand warmer pockets, and functioning wood toggles with rope loops over a full front zipper. 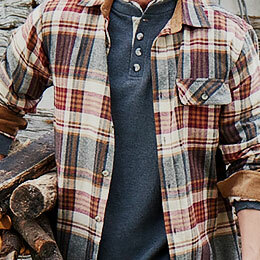 Pairs perfectly with our Cottage Escape flannel shirts. Rated 5 out of 5 by Ness from This Vest! It's the best..My husband got me the maroon one a couple years ago and I just love it and I get a lot of compliments on it, so I had to order another one..very warm and stylish. Rated 4 out of 5 by Rustic mom 1375 from Love the vest The vest fits great , but wish the fabric was more durable, I afraid of tearing the fabric, while doing outside work, living on acres. Can I get the actual chest measurement ( armpit to armpit ) of the L and XL as well as the length. I&rsquo;m in between the L and XL, so actual measurements would help me decide which one to buy. The size chart isn&rsquo;t always correct. Thank you! This item does have a water resistant finish applied to it, but is not water proof. What is the size difference between XXL, 1X and 2X? Are we able to exchange for a bigger size if need be? Absolutely! 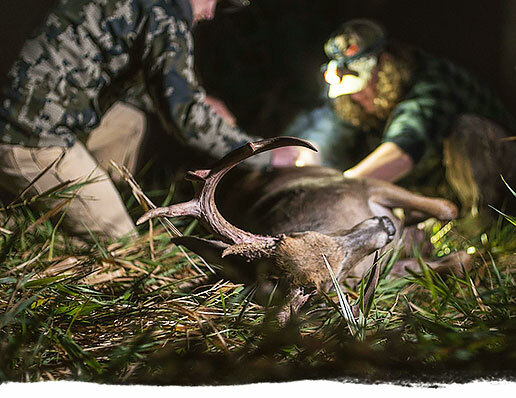 Our Return Policy is Love it or Send it Back! Returns made before 90 days will be refunded onto the original form of payment; after 90 days, onto a gift card. Exchanges can be made at any time! 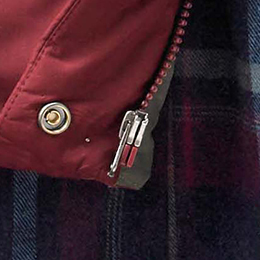 Would the forest plaid cottage flannel match the rusty maroon vest? Yes, it would match! 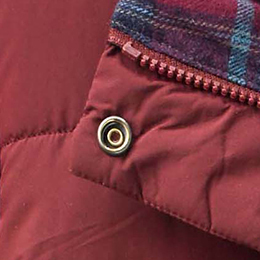 The Rusty Maroon vest also pairs great with Sangria Plaid and Wood Violet Plaid. 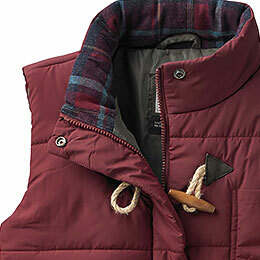 What color Cottage Escape Flannel goes best with the Rusty Maroon vest? 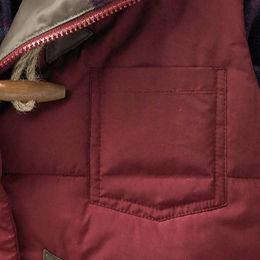 The Rusty Maroon Vest pairs great with our Sangria Plaid and Wood Violet Plaid Cottage Escape Flannels!